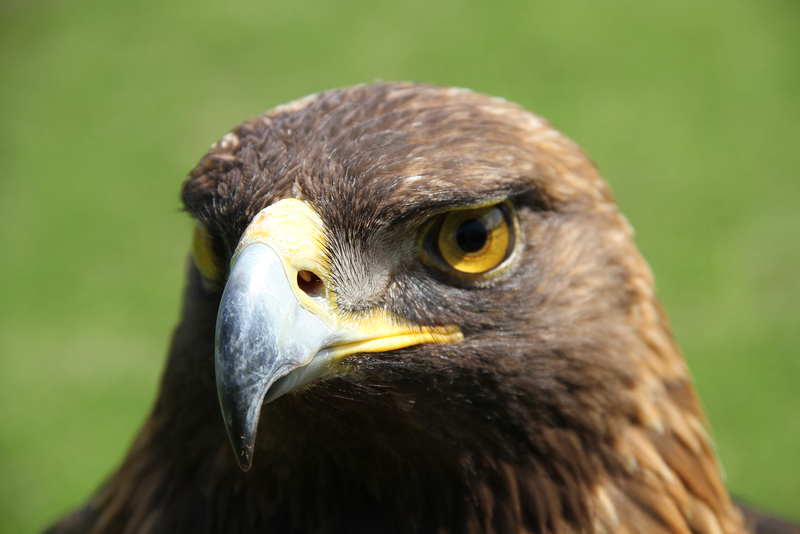 Auburn’s beloved icon, Nova, War Eagle VII, will not fly during pre-game events during Auburn’s 2017 football season after Auburn University College of Veterinary Medicine faculty diagnosed the 18-year-old golden eagle with cardiomyopathy, a chronic disease of the heart. Spirit, a bald eagle, will assume pre-game flight duties during the season, said Southeastern Raptor Center Director Dr. Jamie Bellah. Following a routine checkup, it was determined Nova had an abnormal heart rhythm, and veterinary faculty, in consultation with the Cardiology Service in the Wilford and Kate Bailey Small Animal Teaching Hospital, performed a CT angiography on Nova. “Nova has been diagnosed with cardiomyopathy, indicated by an enlarged left ventricle, decreased systolic function and supraventricular premature complexes (arrhythmia),” said Dr. Seth Oster, an avian veterinarian at the raptor center and the college’s Wilford and Kate Bailey Small Animal Teaching Hospital. 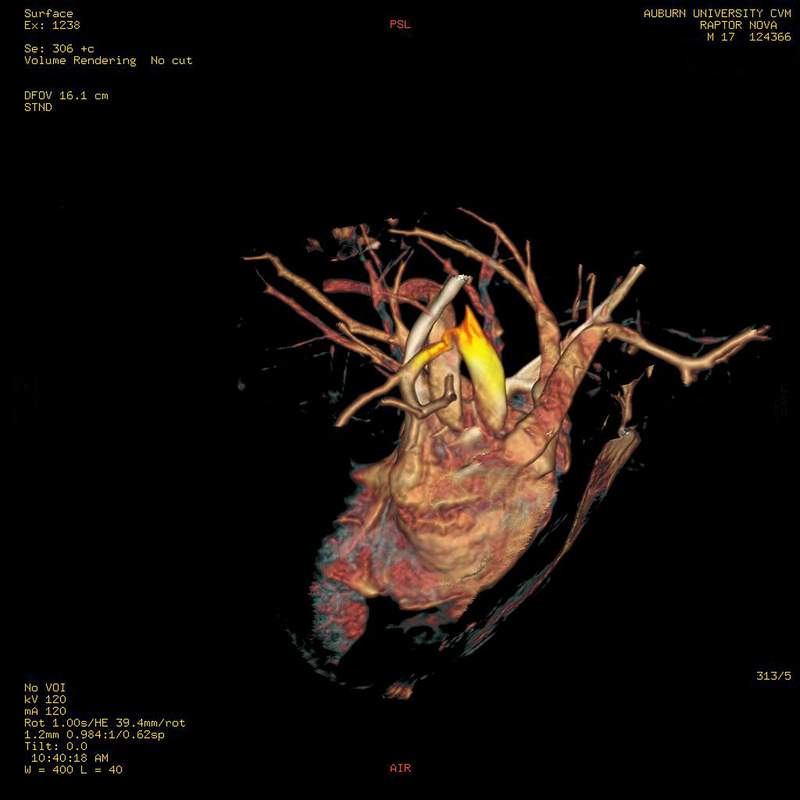 This is a 3D model of Nova’ heart, using the CT angiogram that was performed in April. The area highlighted in yellow is his right brachiocephalic trunk, and shows a constriction of the internal diameter of this vessel.